The religious life can break our hearts, and break our hearts open. What do you find heartbreaking? What gifts can flow out of you, into an aching world? Let’s give ourselves away, together! Come hear the Boise Cello Collective and join in the party. The Rev. Cecilia Kingman is a member of the Red Pill Brethren, a group of people who seek to turn our lives and churches inside out and bring love into the most broken places of our society. She is an award winning preacher and has served congregations throughout the West. Rev. 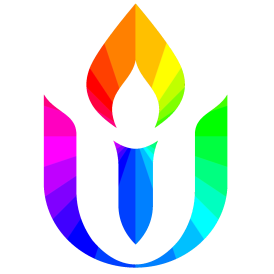 Kingman is President of the Pacific Northwest Chapter of the Unitarian Universalist Ministers Association, and resides in Seattle with her family.